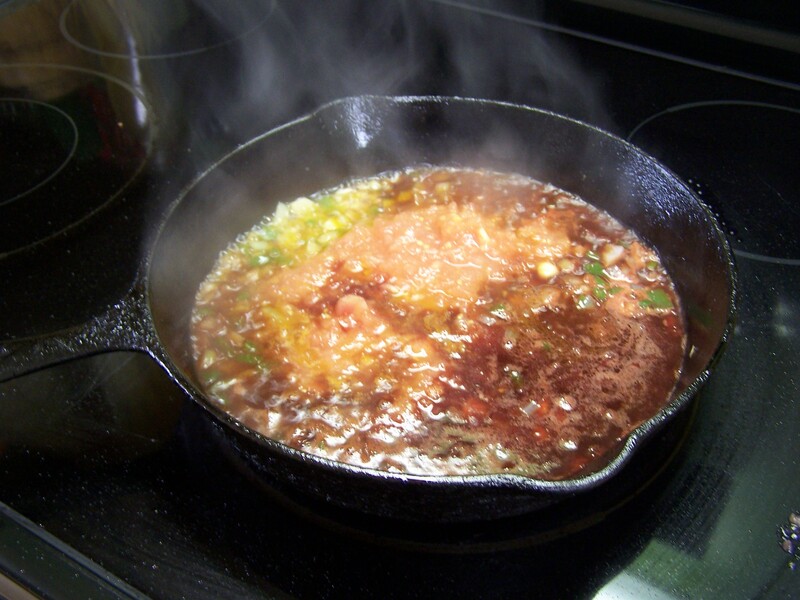 In a large cast iron skillet sauté tomato paste in oil, add the chopped tomatoes. Cook on low for 2 hours. Periodically mash the tomatoes with a potato masher. After an hour of cooking when the water from the tomatoes has evaporated, mash the pulp again add ½ cup of red wine. Later add the can of tomato sauce and flavored olive oil and warm a little on low then cool. Knead the dough. Cut into six quarters, run through a pasta machine on setting 3 then setting 6. This will yield 6 pasta pieces. Boil in water 1 minutes. Remove and set aside. Slice the eggplant ¼ inch – 6 pieces. In a baking sheet paint olive oil on both sides and cook in a 350ᵒ oven for 10 minutes. Sauté for ten minutes on low or until you can smell the fragrance of everything coming together. 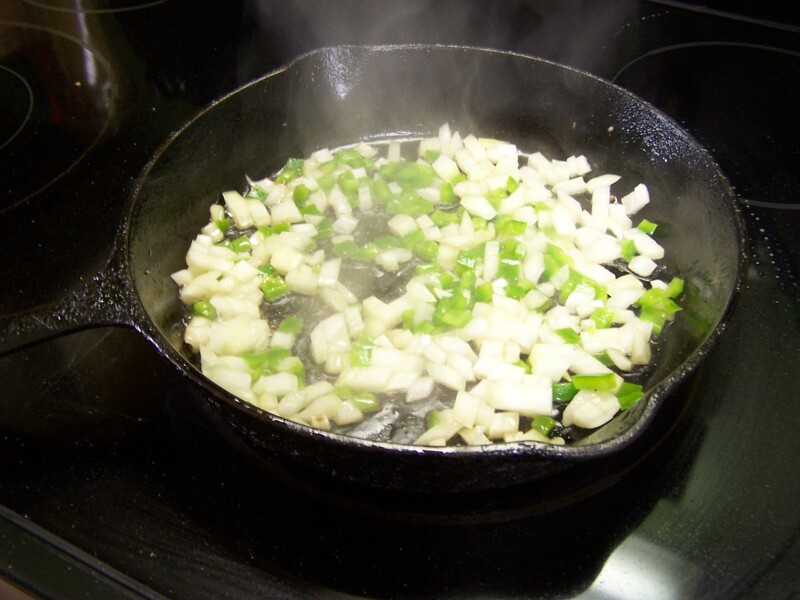 In a large cast iron Dutch oven sauté the peppers and onion then add the meat and slightly brown. Not too much as the oven later will finish them. In a 350ᵒ oven bake Lasagna 1 hour, let rest for 10 minutes and serve. This is a wonderful dish and easy to make. Make your Audubon Ron Special Sunday Tomato Sauce before hand or use whatever sauce you like. It should be thick and full of tomato pulp. My sauce takes about 2 hours to make, mostly simmering. Drag the chicken through egg and Italian bread crumbs and fry in butter/EVOO until golden brown on both sides. If you fry the chicken in batches, wipe the pan each time and add fresh butter. Set aside. Place the eggplant on a baking sheet and paint EVOO on both sides and place in a 350ᵒ oven for 10 minutes. Care is needed not to overcook. Stack the ingredients. On top of the chicken place eggplant, then the basil leaves, (pour a dash of Special Sunday Tomato Sauce olive oil) or olive oil, then add the tomato sauce, then the Mozzarella cheese and then sprinkle with grated Parmesan cheese. Place on baking sheet and cook in 350ᵒ oven for 25 minutes or until the cheese melts. Serve over thin spaghetti. The Sicilian’s call a rich tomato sauce a Sunday Tomato Gravy. I have futzed around with this sauce for a very long time. 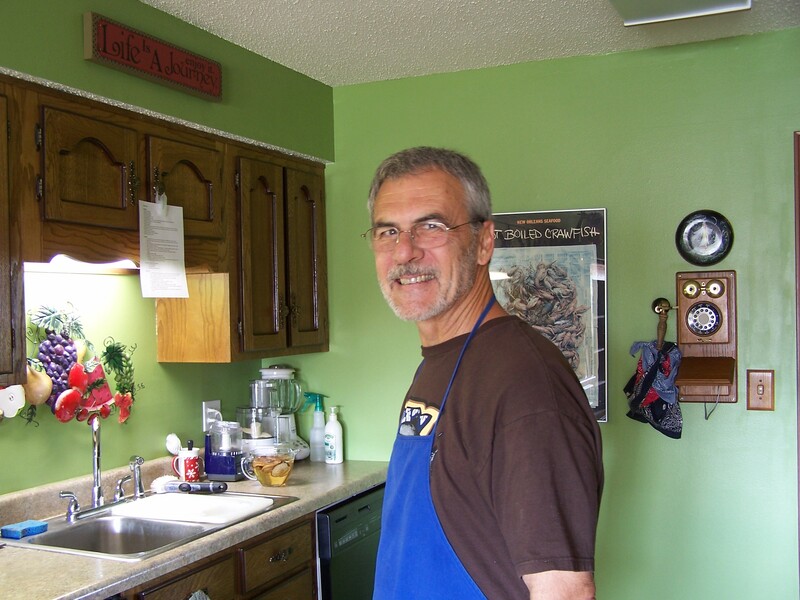 Fortunately, I have two very important cooking influences. One is Cajun Gumbo Roux based foods and the other is New York/New Jersey style Italian cooking tomato gravy based foods. The idea here on the Italian side is to make thick rich tomato gravy separate from the other stuff. 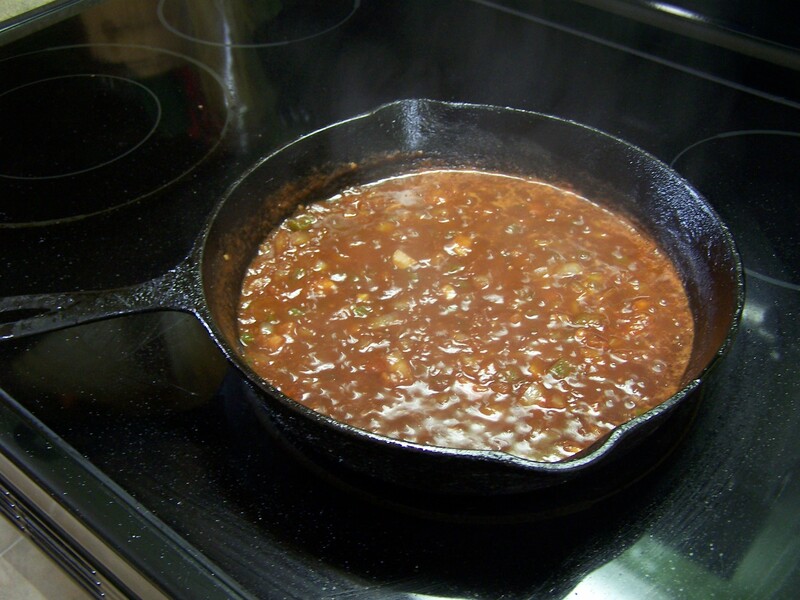 Usually tomato gravy is cooked with meats. But, I find good Roma tomatoes with a lot of pulp and go to work on the tomato gravy separate and apart. First I cut crosses on the tops and bottoms of each tomato. Then I boil them in boiling water for several minutes until the skin starts to come off. I remove them from the pot with tongs and place them under cold water and peel the skin off. I cut them up and place them into a small food processor where I chop them maybe 10 pushes of the button. 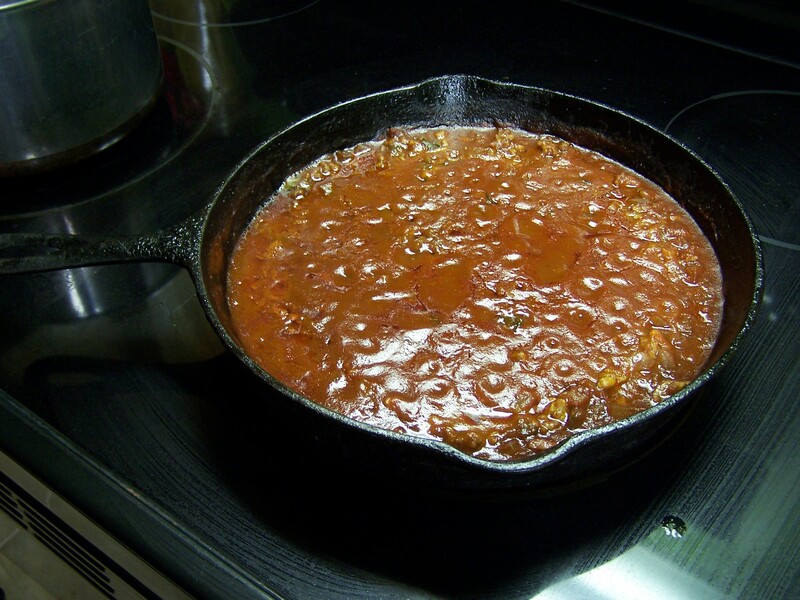 I fry them in a wide hot cast iron skillet with one TBSP olive oil and two TBSP of tomato paste for several minutes and then I put the fire on simmer and let the tomatoes cook where the fluids evaporate (~1 hour). Then I mash them with a potato masher and add a cup of dry red wine. I then simmer them again for another hour in the wine and turn off the heat and let it sit for a while. No salt, no pepper, no sugar, I’ll address that later. In a separate small sauce pan I sauté on low heat a large chopped clove of garlic and a bunch of fresh basil from my garden in a ¼ cup of olive oil. I cook on low until I can see a little bubbling on the sides (~20 minutes). Remove from heat, let cool and strain the oil, discard the basil and garlic. I then add 4 TBSPs of the strained oil to the tomato gravy and mix. THE BEST!!! Tomato gravy, no sugar, naturally sweet from the basil and wine and strong. I add that sauce to any dish, mostly on pasta. There seems to be a tomato sauce and a Ragù sauce from every city in Italy, which would be a couple of different sauces for every day of the year. There are differences in each and some of them totally different. 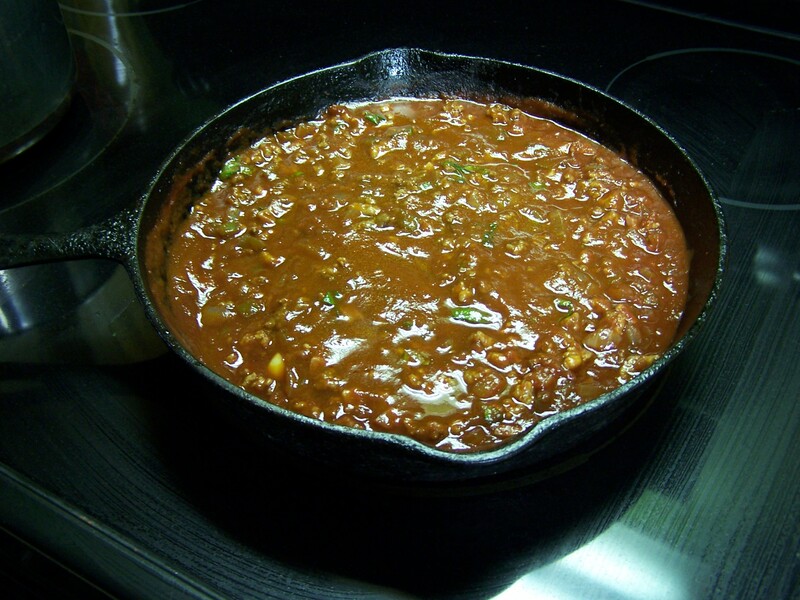 The sauces can range in a spectrum of a meat gravy to a thick paste. Some are sweet and some not so much. This dish is a sweet Ragù alla Marinara Sauce. A Ragù is a “meat-based” tomato sauce commonly served with pasta. I have listed a Roman Ragù recipe on this blog. 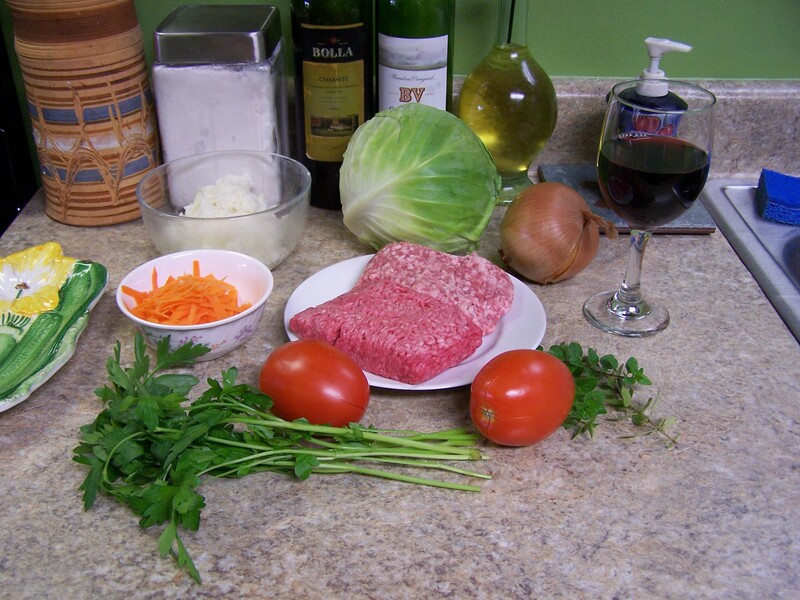 The Roman Ragù sauce is mostly meat gravy with vegetables (soffritto) where tomatoes are added for color to minced carrots, celery and onions. 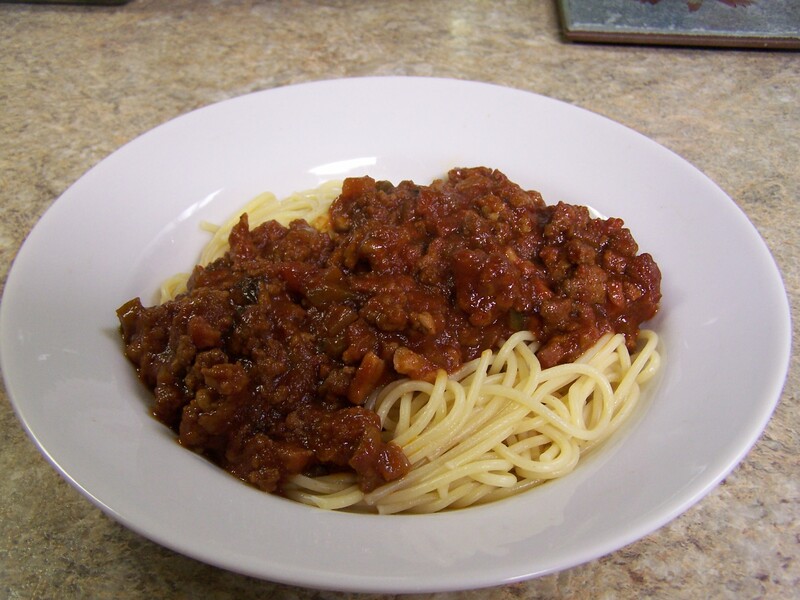 A Bolognese Ragù is a Roman Ragù with cream or milk added. 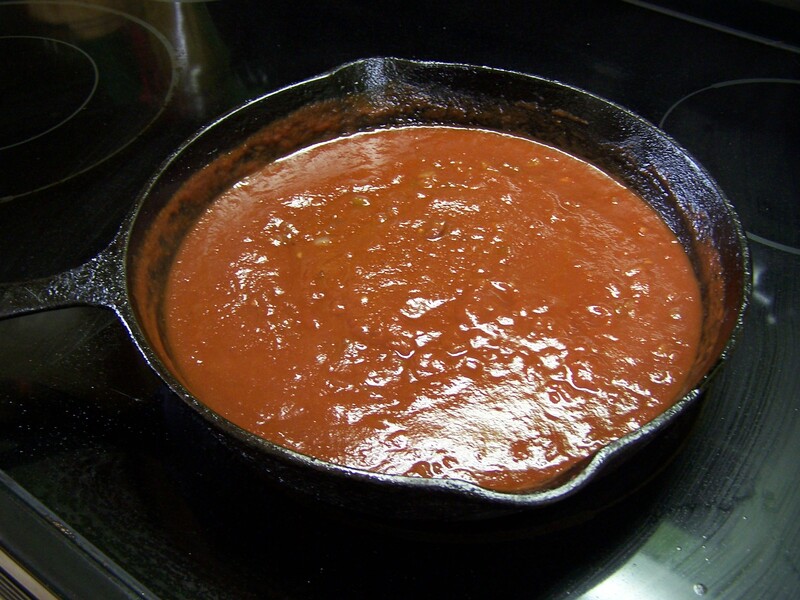 A Marinara sauce is a “thick” Italian sauce without meat. It originated in Naples, usually made with tomatoes, garlic, herbs (mostly basil), and onions. The story goes this sauce was prepared by sailors (mariners) for the sauce’s ability to resist spoilage owing to the acid in the tomato. Mostly Italian-Americans refer to the sauce as a Marinara but it is called a Napolitana sauce in other parts of the world. A Napoletan Ragù (from Naples) has lots of onions, a soffritto and big chunks of beef that cook in the tomatoes for many hours. 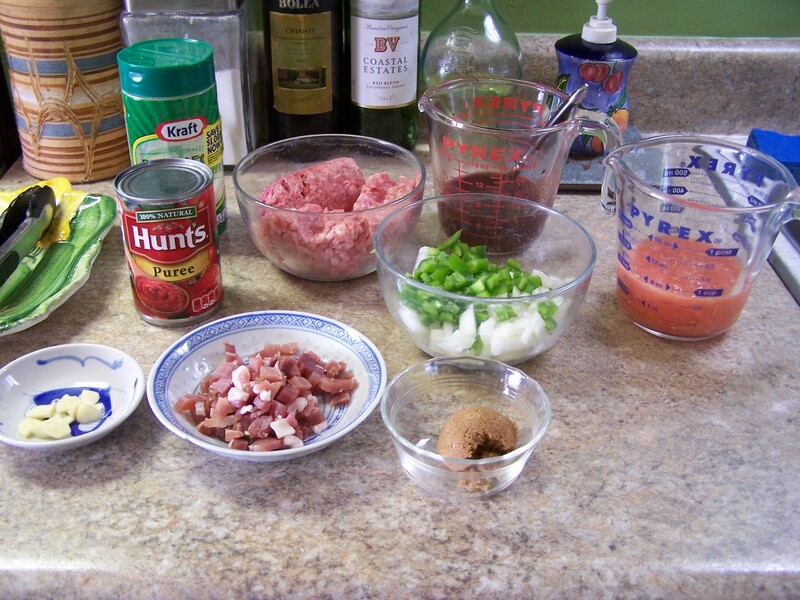 In this recipe I use ground beef, ground pork and a thick slice of prosciutto chopped – no soffritto. The selection of meat is not the issue as the absence of a soffritto is a noticeable departure. So to be precise, I call this Ragù alla Marinara Sauce. To make a “thick”, sweet, red sauce I use tomato puree instead of a tomato sauce. Puree is much thicker. I pre-blend tomato paste in red wine. 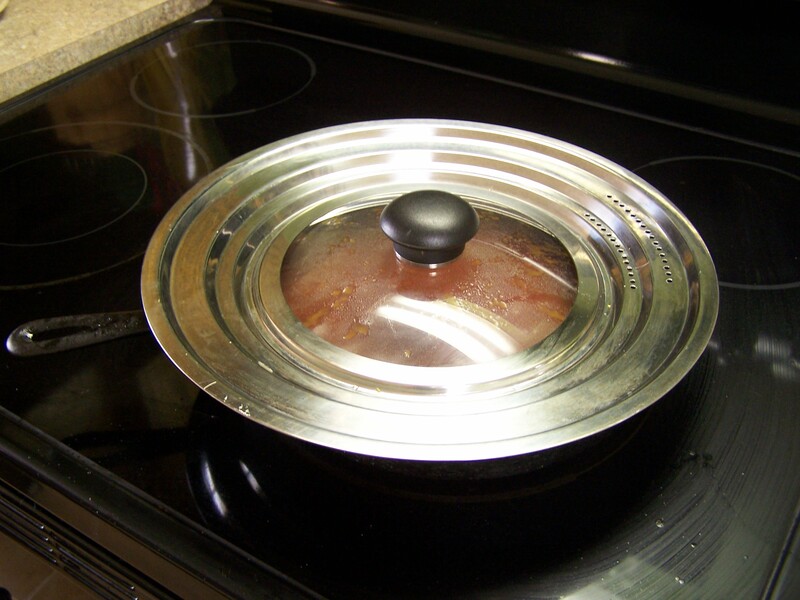 I cook it in a frying pan versus a sauce pan to put a larger heat area under the sauce and cook it for an hour or more on low. Periodically, I add a little stock to keep it moist but I want to serve it as thick as ketchup. First, I fry the prosciutto in olive oil and then remove. 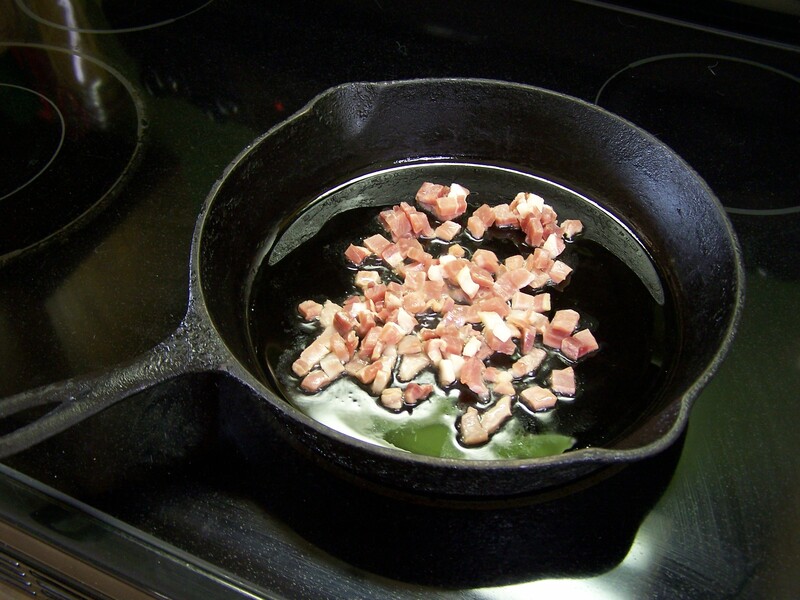 BTW, that frying pan is my grandmother’s and is at least 75 years old. Love it! I then add the meat. I do this to create a “fond”. This is done to glaze the meat and then add some sort of fluid to de-glaze the pan. This releases the meat flavor. I remove the meat. I add the onions, garlic and green pepper and sauté. I add the Roma tomatoes (peeled and mashed) and ½ cup of dry red wine with the 1 TBSP tomato paste mixed in on a high heat. I let that reduce to a point when the wine has evaporated. I then add the 1 – 10 oz. can tomato puree, brown sugar, salt and pepper and reduce the heat to low and cook that for 30 minutes covered. I add a little veal or beef stock to keep it moist. Now I return all the meat and fresh basil. I always add fresh herbs last to make sure the flavor is not overcooked. I increase the heat until it starts to bubble then cover and turn to low and cook 45 minutes covered. I serve on thin spaghetti and then add grated Parmesan cheese and serve. This dish doesn’t have a fancy name, but it is a dish we cook often around here. 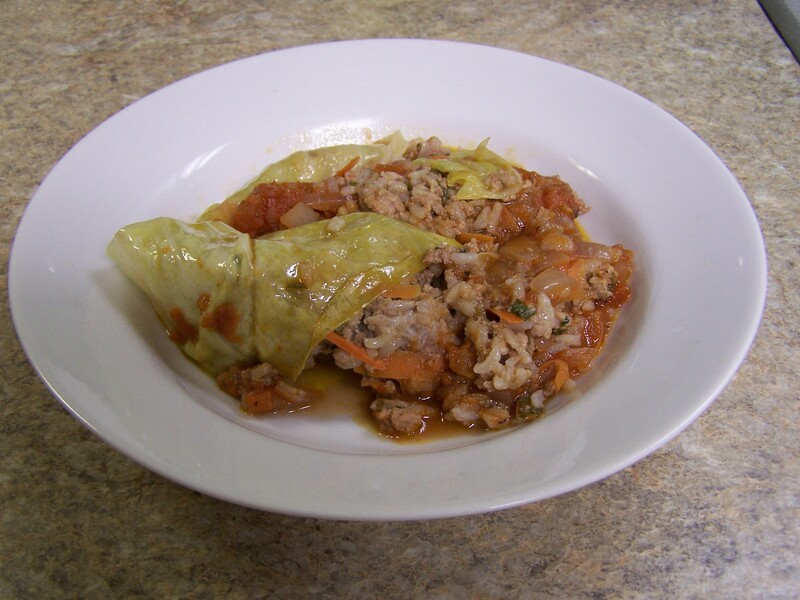 The ingredients in this dish can be found in Russian Golubts rolls and other European cabbage rolls. This one has a great Ragù sauce. Before starting the dish, pre-cook the rice and let cool. Add 1 cup of rice to two cups of water. Bring to a boil and simmer for 12 minutes. Prepare the carrot using a potato peeler and peel and discard the outer skin, then peel the carrot into slivers and chop the slivers into 1 inch pieces or grate it with a grater. In a 2 quart sauce pan sauté onions in olive oil then add the chopped tomatoes. Stir into a thick paste then add the garlic, wine, tomato paste, butter and a dash of sugar and stir into a paste. Turn off heat and cover. 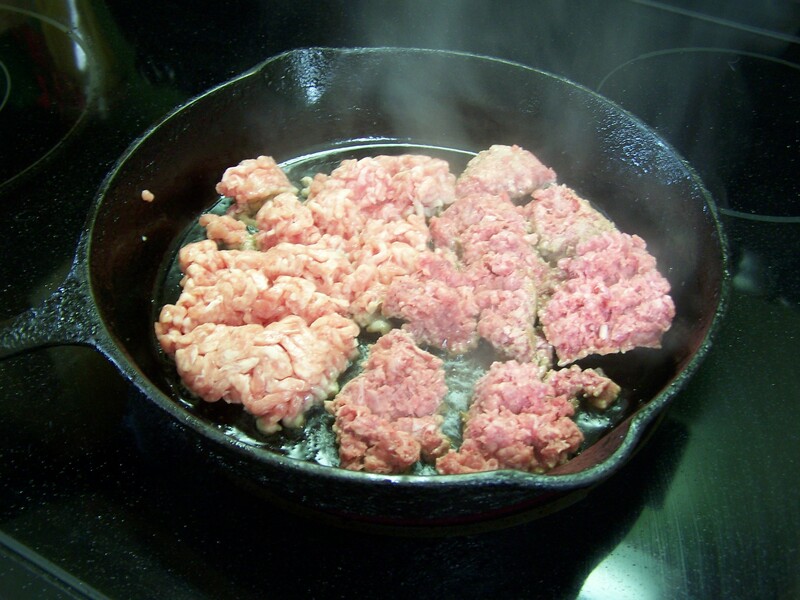 In another sauce pan heat olive oil and add the beef and pork ground meat and stir a couple of minutes. Add the rice, carrots, parsley, oregano and stir, about three minutes. Turn off heat. 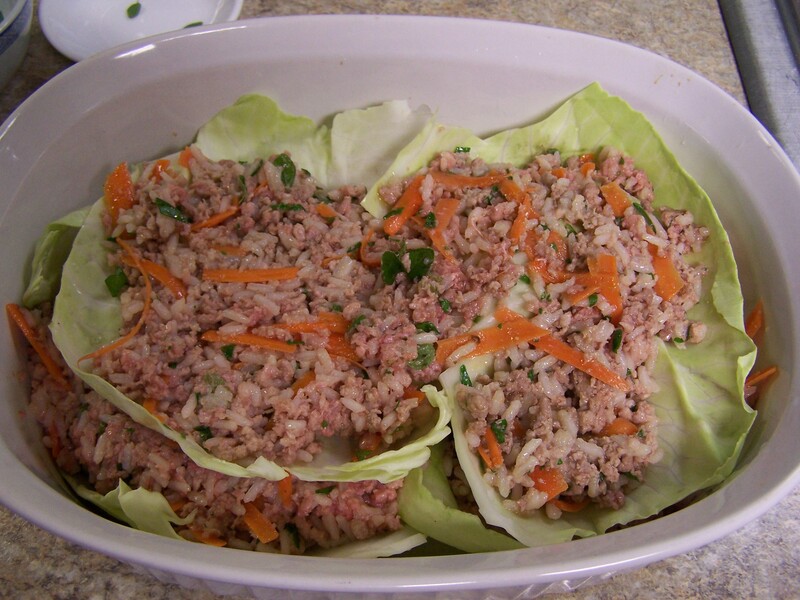 In a covered casserole pan add a little olive oil and place several cabbage leaves on the bottom, open face up. Spoon in the meat mixture. 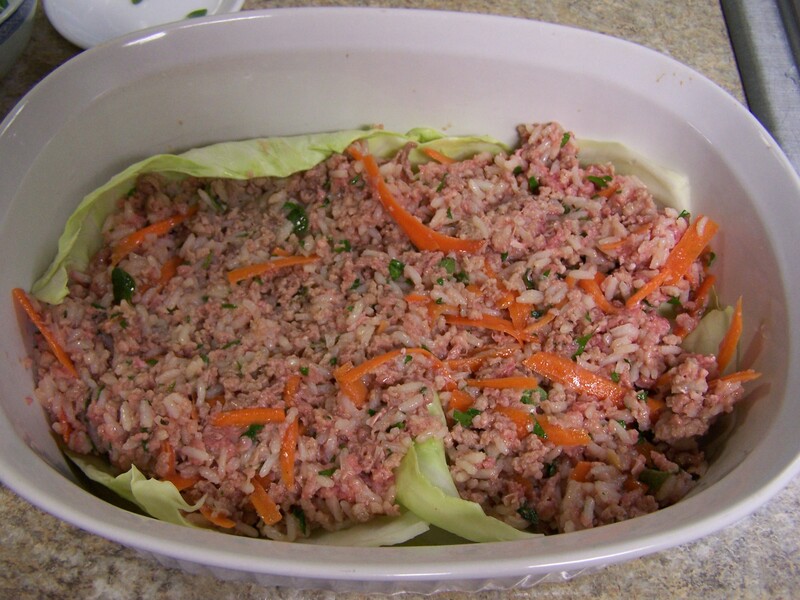 Layer in more cabbage, and meat mixture. 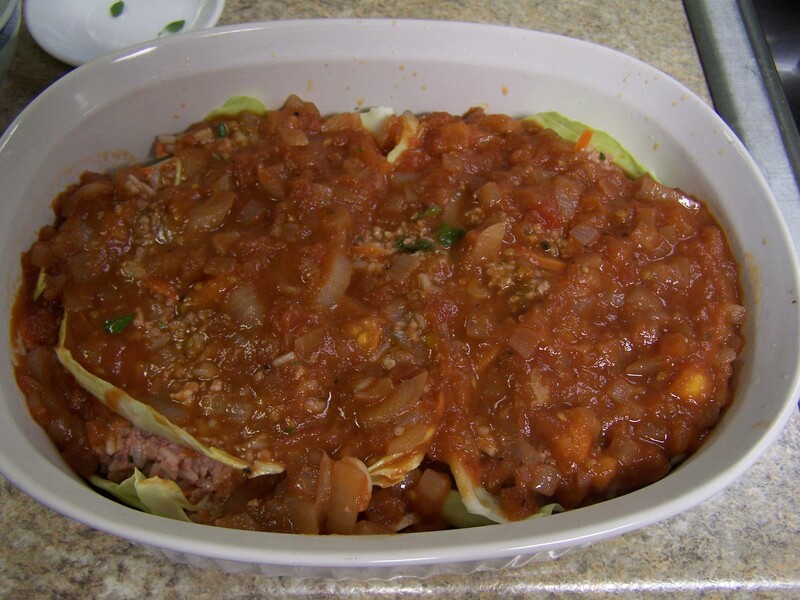 Pour the tomato sauce over the dish and bake in a 350° oven for 1 hour.